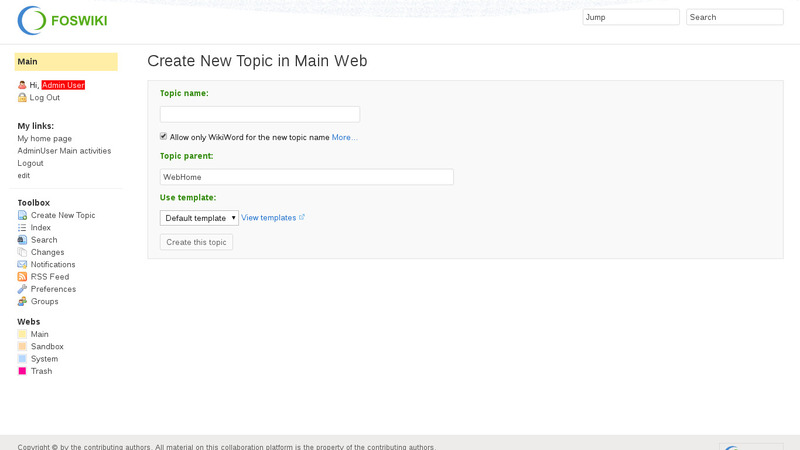 Foswiki is a structured wiki, typically used to run a collaboration platform, knowledge or document management system, a knowledge base, or team portal. 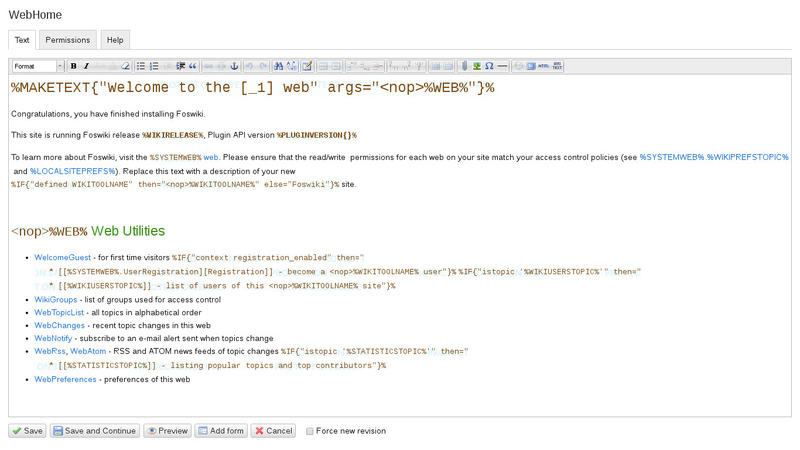 Users can create wiki applications using the Foswiki Markup Language, and developers can extend its functionality with plugins. Installed from upstream source code to /var/www/foswiki. Security note: Updates to Foswiki may require supervision so they ARE NOT configured to install automatically. 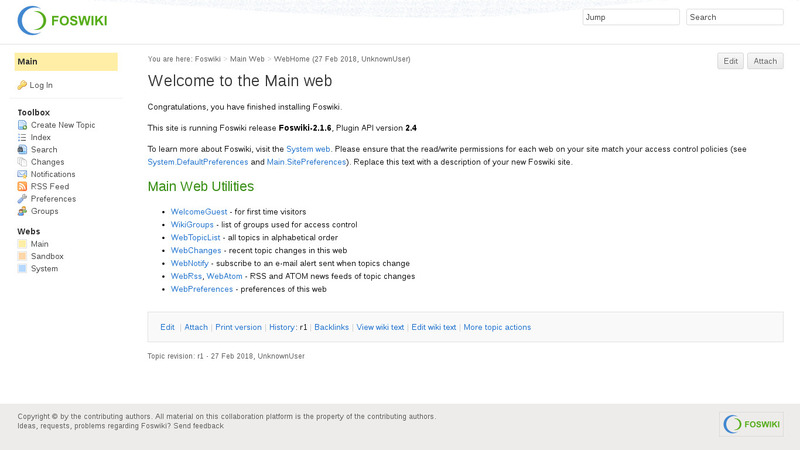 See Foswiki documentation for upgrading. We also recommend subscribing to the 'foswiki-announce' mailing list to receive secruity announements in your inbox.